Here's a list of the books I have published. This list is in alphabetical order by default. If you'd like to know more about any of these books, let me know in the comments section or tweet me @Jonny_Athan. This section will be kept up-to-date. You may even find information about my next book before anyone else, so make sure to check back frequently. Scattershot features a disturbing journey into a psychopathic killer's shattered mind. With scenes of extreme violence, this is not for the faint of heart. 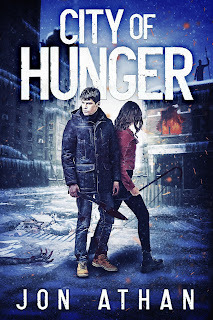 City of Hunger is an extreme survival-horror novel with elements from the slasher genre. For fans of Cannibal Creek and movies like The Hills Have Eyes, this is a suspenseful, gory treat. A group of young teens discovers a terrifying demon in the woods—a demon capable of morphing itself into their worst nightmares. Ashley Collins, a sixteen-year-old girl, has severe behavior issues. In order to 'correct' her behavior, her parents, Logan and Jane, chain her in their basement and regularly abuse her... all while delving into their own deviance and depravity. 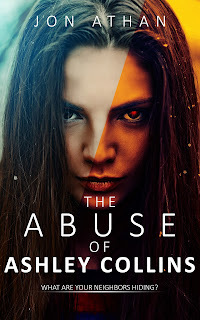 The Abuse of Ashley Collins is a horrifying novel about family and love, discipline and abuse, and unrelenting violence. This is a novel of pure human horror—about humanity's monsters. This is not a novel for those easily offended or appalled. Buy it now for $2.99! That's less than a premium cup of coffee and it'll keep you up for nights! 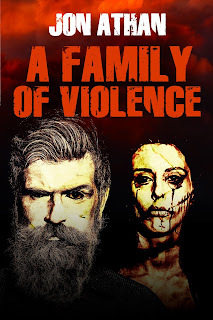 A Family of Violence is a shocking horror experience crafted without compromise. This provocative novel asks the question: can a killer be made? Buy it now for $2.99! That's less than a movie ticket and a premium cup of coffee! 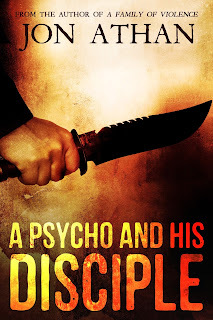 A Psycho and His Disciple is a disturbing horror novel about a serial killer, a confused young man, and twisted relationships. It is a provocative horror novel written without compromise - expect the worst. Pre-order now for $2.99! It's cheaper than a trip to the movies! 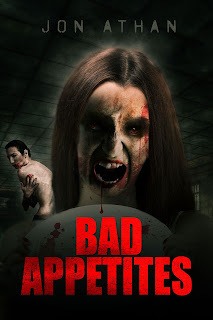 Bad Appetites is a body horror novel that targets social stigmas, shady businesses, and dangerous supplements. For those looking for gore, you're in for plenty of surprises. However, this book also features a story of depression at its core. The life of Jamie Cruz, a single father, begins to crumble when his eleven-year-old son, Casey, begins to exhibit signs of mental illness. At first, he turns to a doctor for help. To his dismay, Casey's behavior inexplicably worsens as the boy becomes more aggressive—more violent. When Casey's actions begin to challenge the laws of nature, their once-peaceful home becomes a house of unimaginable terror. Jamie rushes to save his son, but what is he fighting? And is it too late for Casey? 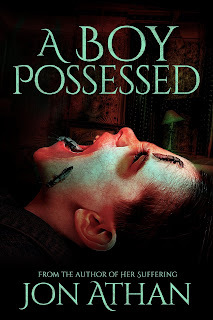 A Boy Possessed is a supernatural horror novel. For fans of my supernatural work, such as Her Suffering. Buy it now for $2.99! That's less than a premium cup of coffee or a movie ticket! 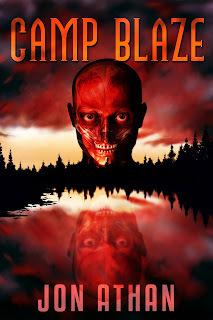 When Camp Blaze—a camp with a history of tragedy and murder—is terrorized by a masked killer, Regina Park, the lead senior counselor, races to rescue the staff and campers. However, as the body count rises, Regina finds herself questioning everything... and everyone. Buy it now for $2.99! That's cheaper than renting most slasher movies nowadays. 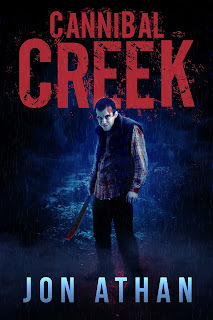 Inspired by Wes Craven's The Hills Have Eyes, Cannibal Creek is sure to frighten and shock fans of brutal slashers. Buy it now for $2.99! Don't miss your chance to visit Cannibal Creek! Pushed to a corner, Frank Meadows kidnaps and tortures the man suspected of abducting his daughter, Bruce Watson. Meanwhile, off-duty detective Wayne Washington and family friend Nathan Jones search for the missing girl and discover a world of deviance. Robin Morris, a hard-edged young woman, also finds herself enmeshed in the mystery when she is stood up by her boyfriend - Bruce. 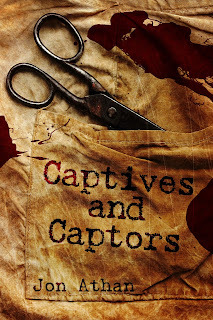 Captives and Captors seamlessly connects three stories to tell one tale of vengeance and violence. 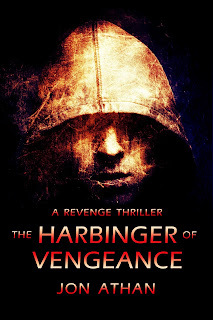 It is as much a mystery-thriller as it is a book of extreme horror. How far would you go to save a loved one? Buy it now for $2.99 to receive the book as soon as it's available! Ethan Miller is a lonely man. He falls in love as quickly as he falls out of it. When the love dies, people tend to die with it. When he meets a young, attractive waitress at a diner, Ethan dedicates himself to winning her heart—by any means necessary. 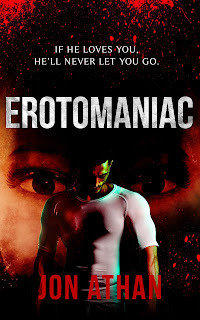 Erotomaniac is a tale of unrequited love, obsession, and extreme violence. It is the story of a confused man and an unwitting victim. If you love stories about stalkers, this is for you. Pre-order it now for $2.99 or read it for free using Kindle Unlimited when it releases! 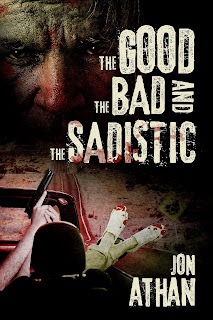 The Good, the Bad, and The Sadistic is a twisted horror-thriller that will keep your palms sweaty from beginning to end. 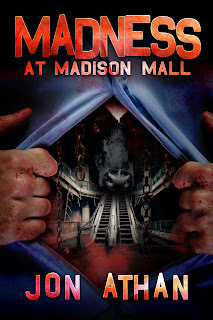 A gorefest unlike anything you've read before! After a prank lands him in serious trouble, Malcolm Hernandez is sent to live with his grandparents. He believes the stay will be easy, but then he bumps heads with his grandfather, Ronald O'Donnell. He quickly learns that Ronald is a violent man who is not afraid of disciplining him. 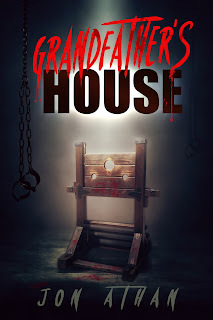 Grandfather's House is a story of family, abuse, and redemption as much as it is a story of pure human horror. "The bullied becomes the bully... and the bully becomes the bullied." Buy it now for $2.99! That's less than premium coffee, a movie ticket, bus fare, and much more! Julie Knight, an eighteen-year-old waitress, is attacked by an entity she cannot see. She shrugs off the initial attack as a nightmare. However, when the attacks increase in frequency and severity, Reina Knight, Julie's mother, races to save her daughter... but, what is she fighting? A mental illness? A demon? 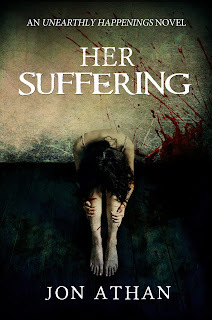 Her Suffering is a disturbing supernatural horror novel. Inspired by The Entity and The Exorcist, this novel is sure to excite, terrify, and even haunt fans of the genre. Jamie, a single father, spirals into a terrifying tailspin when his son, Casey, begins to exhibit extreme signs of aggression. When Casey's behavior challenges the realm of human explanation, Jamie questions and tackles every wicked possibility. A severe mental illness? A spiritual ailment? A supernatural attack? The sinister truth lurks in the most horrifying crevices of the human mind... and beyond. 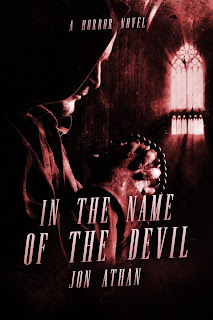 In the Name of the Devil is a psychological horror novel. This terrifying novel tackles the notion of possession from every angle while terrifying audiences through surreal horror - human and supernatural. Buy it now for $2.99! That's less than a movie ticket, an expensive premium coffee, your daily commute and more! 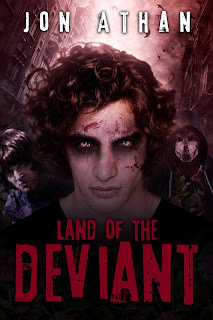 Land of the Deviant is an extreme dystopian horror novel, bringing you into a grim world filled with violence and deviance. Pre-order now for $2.99! The perfect price for a trip of a land without law... if you can handle it. 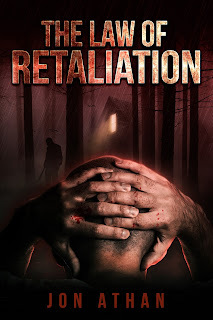 The Law of Retaliation is a story of vengeance and family. How far would you go to avenge a loved one? Buy it now for $2.99! That's less than a movie ticket! A supernatural/psychological horror novel inspired by Silent Hill and The Shining. Are you ready to enter the madness? Buy it now for $2.99 or read it for free using Kindle Unlimited! Mason Williams, a thirteen-year-old boy, is not like his peers. He regularly gets in trouble at school. He enjoys extremely violent movies. He doesn't mind gettng beaten by his father. He talks to his television—and his television talks back. 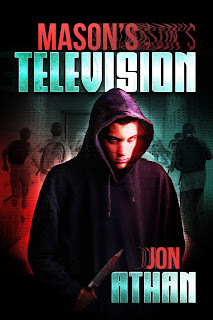 With the help of his television, Mason begins committing violent crimes against his peers in hopes of achieving infamy. Mason's Television is a horrifying novel about a child killer. Beyond the surface, it is a book about violence in the media, mental illness, and the affects of bad parenting. Regardless, this is a book of human horror. Pre-order now for $2.99 or read it for free using Kindle Unlimited when it releases! 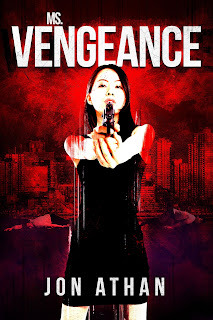 Ms. Vengeance is a violent story of survival, redemption, and revenge. It is a shocking throwback to classic exploitation films. A group of teenager boys discovers the dead body of a female high school student while walking in the woods. They are afraid of her and attracted to her. Instead of reporting the body, they decide to keep her as their girlfriend... a decision that leads to violent consequences. 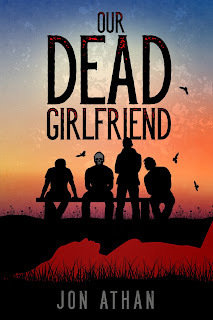 Our Dead Girlfriend is a disturbing story of adolescence, love, envy, hatred, and horror. It dares to explore dangerous themes to deliver a horrific experience. Don't miss it. A group of estranged friends gather at a cabin in the woods for a reunion party. Their party is interrupted with the arrival of Chase Bowen, a charming young man who happens to be stranded in the area. Chase is allowed to join the party as he waits for a mechanic. He has different plans for the group, though. He wants to play 'party games.' And, in his games, the losers are tortured. 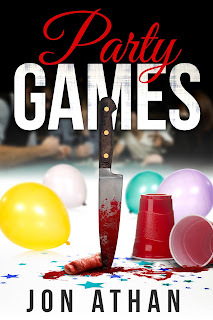 Party Games is a twisted horror/thriller filled with suspense and violence. 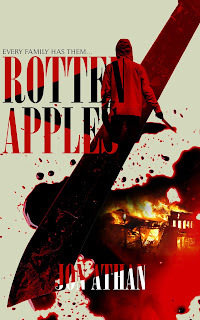 Rotten Apples is a horror novel about family, adolescence, and violence. It asks one significant question: can one bad apple spoil the whole barrel? Buy it now for $2.99! You don't want to skip these rotten apples! Welcome to New Los Angeles, a city modified and reinforced to inspire hope amidst World War III. Adoptive brothers Kyle and Sakuya struggle to survive in the poor outskirts of the sprawling city, abandoned by the government and ignored by the rich. However, when Sakuya publicly showcases his psychic abilities, the teenager brothers find themselves pursued by a secretive government agency seeking to create unconventional weapons using the psychic genome. Can Sakuya control his powers and evade the government? Or will the teenager's wrath be unleashed? 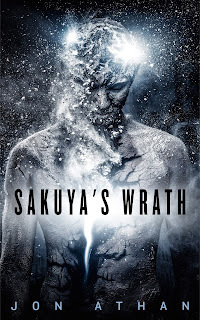 Sakuya's Wrath brings you to a grim dystopian world filled with fantastical action. My longest book to date, this novel is sure to surprise fans and new readers alike. Buy it now for $2.99! Get a blockbuster experience for less than the price of a movie ticket or rental! Alan Atkins murders without remorse, slaughtering the weak and vulnerable. Tetsuya Takahashi murders suicidal people, deeming them ungrateful and unfit for life. 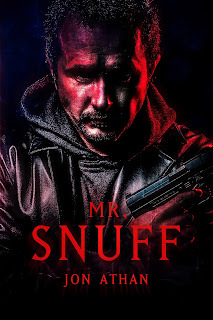 When the two serial killers bump heads, the city is left in a storm of bloodshed. Is the city big enough for two serial killers? 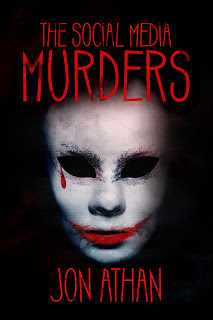 A masked serial killer stalks and murders the students of a local high school, then he uploads their murders to their favorite social media websites... Can the killer be stopped before he murders the entire class? Inspired by Wes Craven's Scream and Dario Argento's classic horror films, this is another brutal slasher from the mind of Jon Athan. A group of friends traveling through Texas during a cross-country road trip decides to spend the night on the side of a desolate road. The following morning, they awaken to bloody madness. A violent lunatic, who lives in a secluded mansion, wants them... for their saliva. 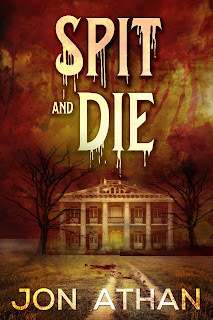 Spit and Die is a disturbing novel partially inspired by a real serial killer's motives. 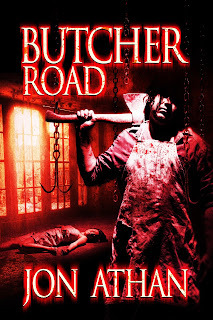 If you're a fan of violent slashers, this is for you. Available now it today for $2.99! In 2002, Trevor Morrison was killed by an unhinged man, Mario Flores. Mario was found not guilty by reason of insanity. Fifteen years later, Naomi Morrison, Trevor's widow, seeks vengeance against Mario. She plans on torturing him and his family until she finds the answer to her question: was Mario actually mentally unwell when he killed Trevor or did he fake it? 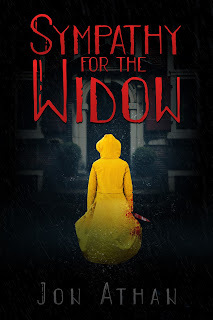 Sympathy for the Widow is a novel of extreme horror and vengeance. It's a story that asks significant questions without compromise. Can you sympathize with a killer? In 2172, Nicholas, a police-model android, is used to negotiate with deviants — androids that have bypassed their protocols to commit crimes against humanity. When a group of deviants kidnap an infant from the border in town, Nicholas is sent into the poor side of the city to hunt those responsible. Can he resist the deviance and rescue the innocent child? 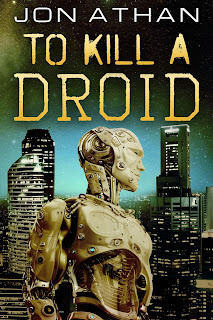 To Kill A Droid is a new sci-fi novel filled with mystery, thrills, and action. Enter a futuristic world to experience an edge-of-your-seat thriller. A deranged scientist inadvertently causes an undead uprising while trying to revive his deceased wife. 10 Days: Undead Uprising tells the story of a grizzly zombie apocalypse through ten different perspectives over ten days. Each day offers a unique perspective of the ongoing crisis as the apocalypse worsens. "10 Days. 10 Stories. 1 Apocalypse." 10 Days: Undead Uprising is a standalone interconnected zombie anthology. Whether you're a fan of novels or short stories, Undead Uprising aims to please all fans of the zombie genre. Purchase now for $2.99! That's less than the average movie ticket! Buy it today for $0.99! Struggling with writer's block? Want to write your own scary stories? This meticulously-crafted writing resource will provide you with 150 detailed starting points. Regardless of your skill level, you can craft terrifying stories of your own using this versatile set of horror writing prompts. The prompts include zombies, ghosts, serial killers, new urban legends, vampires, and much more. There's even a pinch of psychological and surreal horror for good measure. Best of all, there are no one-line or definition prompts — these are all thorough and creative! Buy it today for $0.99 and whisk away that pesky writer's block once and for all! The Black Lake is a horror anthology featuring ten horrifying chapters — which includes 8 unique stories, a prologue/epilogue combination that tells another. It's a short story collection sure to terrify. Buy today for $2.99! That's less than a cup of premium coffee or a movie ticket! Enter a world without boundaries or limitations. Enter a realm of science and superstition. Enter the Vortex. A world of surreal stories blending horror, fantasy, and science-fiction. Delve into stories filled with nerve-shredding suspense, hair-raising imagery, ominous atmosphere, subtle frights, and unsettling twists. Enter The Vortex Vol. 1: Surreal Tales of Horror and Fantasy is the introductory chapter to the series. Featuring five terrifying and bizarre stories, this book is sure to please fans of fantastical horror. Buy it now for $0.99! That's less than a premium cup of coffee, less than a movie ticket, and less than an average bus trip! A world of reality and imagination awaits. Prepare for another unsettling journey through the inexplicable but grounded. Are you ready to return to the Vortex? A dimension of surreal stories combining horror, fantasy, and science-fiction. Immerse yourself in stories filled with unnerving suspense, eerie imagery, ominous atmosphere, subtle frights, and disturbing twists. Enter The Vortex Vol. 2: Surreal Tales of Horror and Fantasy brings you back to the terrifying world known as The Vortex. Delve into ten bizarre and unique stories filled with fantastical terror. Buy it now for $2.99! That's less than a movie ticket, an expensive premium coffee, or a daily commute! You have entered the foyer of a world of the mundane and alien. An outlandish land of unearthly perception. You have entered... The Vortex. Return to a world of horror, fantasy, and science-fiction. 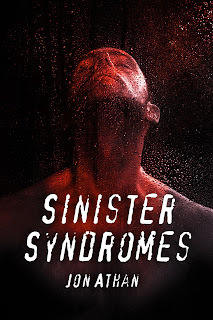 Descend into madness with ten stories of nerve-shredding suspense, spooky imagery, ominous ambiance, subtle frights, and unforgettable twists. Enter The Vortex Vol. 3: Surreal Tales of Horror and Fantasy features ten new stories of brimming with fantastical terror. Each story presents unique characters and situations to create a versatile and horrifying experience. Buy it today for $2.99! That's less than a movie ticket, a premium cup of sugary coffee, and the average daily commute. There is a realm beyond reality and imagination. A dimension of the surreal and unreal. A world of mystical creatures, outlandish capabilities, and foreboding visions. This world is called... The Vortex. Delve into stories combining horror, fantasy, and science-fiction. Stories of nerve-shredding suspense, eerie atmosphere, unearthly imagery, subtle frights and shocking twists. Enter The Vortex Vol. 4: Surreal Tales of Horror and Fantasy is the final installment in the surreal series. Featuring ten new stories, Volume 4 is sure to fright and challenge your imagination — you'll never guess what's coming. Buy it now for $2.99! That's less than a premium cup of coffee and a movie ticket! Lee, a freelance photographer in a rut, falls in love with the ghost haunting his neighbor's apartment... with terrifying consequences. A novella filled with suspense and terror, A Phantom Passion is a story of eternal unrequited love and the pure horror that accompanies it. Don't fret, though, this isn't a lovey-dovey fantasy-romance story. At its core, A Phantom Passion is a ghostly novella that aims to terrify through unnerving suspense, ominous atmosphere, creepy imagery, true-to-life horrors, and subtle frights. Buy "A Phantom Passion" for $0.99! As usual, it's cheaper than buying a premium cup of coffee or your daily commute nowadays. Your most terrifying nightmares are coming to life... Restless Nightmares Vol. 1: A Collection of Short Scary Stories is the introductory chapter to the latest horror anthology series. A collection filled with unnerving suspense, ominous atmosphere, eerie imagery, and twisted mystery. Filled with zombies, ghosts, mutants and more, this collection is filled with a variety of horror -- a treat for any horror fan! Serving as the introductory chapter of the series, Restless Nightmares Vol. 1 features five terrifying short stories -- a horrifying and satisfying preview of the terror to come. If you're a horror fan, this is for you! Buy it now for $0.99! That's less than the average cup of coffee and daily commute! The nightmares continue... Restless Nightmares Vol. 2: A Collection of Terrifying Short Stories continues the terrifying saga with ten new short scary stories. This collection is filled with nail-biting suspense, dreadful atmosphere, disturbing imagery, twisted mysteries, and subtle frights. These stories include demons, zombies, ghosts, psychopaths, cannibals, and much more. This full-fledged sequel features ten short scary stories. Each story is approximately 3000 words (30,000 in total), and the book is twice the size of the first installment. It's versatile in its scares. This is the complete package for horror fans. Buy it now for $2.99! That's less than a premium cup of coffee and the average daily commute! The final chapter in the nightmarish saga has arrived... Restless Nightmares Vol. 3: A Collection of Petrifying Short Stories offers ten brand new short scary stories. This set of stories is filled with unnerving suspense, hair-raising imagery, ominous atmosphere, unsettling twists, and subtle frights. These stories include ghosts, demons, mutated creatures, true-to-life horrors, and much more! The final chapter in the Restless Nightmares trilogy features ten spine-tingling and disturbing stories of pure terror. Restless Nightmares Vol. 3 is the biggest and scariest book in the series. With a variety of traditional and experimental frights, this book is sure to surprise. Buy it now for $2.99! That's less than $0.30 per story! That's less than a cup of premium coffee or a daily commute! When the skies shattered, extraterrestrial visitors slipped through the cracks. A legion of aliens landed on Earth, seeking survival by any means. Shattering Skies: The 10-Day Invasion tells the story of a devastating invasion through ten different perspectives over ten days. Each day offers a unique perspective to the ongoing invasion. "10 Days. 10 Stories. 1 Invasion." Shattering Skies: The 10-Day Invasion is a standalone interconnected anthology breathing life to the alien-horror genre. Shocking abductions, grisly attacks, sly body snatchings, vicious battles and more await in the 10-day invasion. Buy it today for $2.99! That's less than a cup of premium coffee or a movie ticket for hours of entertainment! Inspired by urban legends and horror movies, Tales From Under The Bed Vol. 1: A Collection of Short Scary Stories is a frightening collection of suspense, ominous atmosphere, eerie visuals, and subtle frights. A book that seamlessly blends the horrors of fantasy and the terror of reality. Including re-imagined urban legends, classic hauntings, serial killers, possession, and more, this short collection is filled with a variety of horror. Buy it now for $0.99! That's less than a cup of coffee. That's less than bus fare. The horror continues with Tales From Under The Bed Vol. 2: A Collection of Scarier Short Stories. A collection of terrifying tales including ghosts, demons, cannibals, zombies, aliens, serial killers and more! The line between reality and fantasy is blurring, there are no limits in this anthology of horror - expect the unexpected. Well, you can expect plenty of suspense, tension, atmosphere and subtlety. This full-fledged sequel features 12 terrifying short stories. Aside from featuring two more stories than the previous installment, this book is also over two-times the length, as well. It's the complete package for any horror fan. Buy it now for $0.99! It's still cheaper than your average cup of Espresso and probably your daily commute, too. Complete the terrifying trilogy with Tales From Under The Bed Vol. 3: A Collection of Terrifying Short Stories. This collection of scary short stories features possession, ghosts, aliens, zombies, serial killers and much more! This terrifying collection seamlessly blends reality and fantasy to create a twisted experience. For fans of nail-biting tension, dreadful suspense, bone-chilling atmosphere, shocking twists and subtle frights. This final chapter of the Tales From Under The Bed horror trilogy features 10 terrifying short stories. Despite featuring two stories less than Volume 2, this installment is actually longer than the previous! A treat for horror fans! Buy it now for $0.99! I'm proud to announce: it's still cheaper than buying a cup of coffee! The terrifying anthology series continues with Tales From Under The Bed Vol. 4: A Collection of Petrifying Short Stories. This collection of short scary stories features ghosts, serial killers, ancient rituals, a horrifying exorcism, and more! This new installment seamlessly blends the terror of reality with our most frightening fantasies. For fans of unnerving suspense, dreadful tension, ominous atmosphere, horrifying twists, and subtle frights. This extension to the horrifying Tales From Under The Bed series features 8 meticulously-crafted scary stories. This installment features more creativity and variety than the previous. If you're looking for something new in your horror, this is for you! Buy it now for $0.99! It's still cheaper than your premium coffee and daily commute!